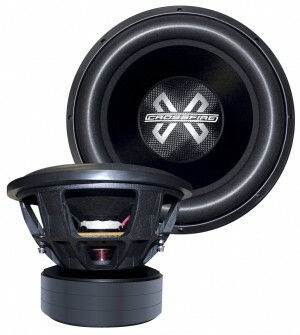 Forget everything you have heard up until now if you are looking for the baddest subwoofers on the planet! You have found it here with the new XS-V4. If bone crushing bass is what you are after then look no further. We have truly developed what we believe is the pinnacle of all subwoofers. Starting with a MONSTER 4” voice coil for increased thermal capacity, the XS-V4 will take over 4000 WATTS of true rms power and love it. Utilizing a FEA derived motor design and utilizing ultra high grade Y38 magnets, there is no loss of motor force with this subwoofer. The choice is clear, for the ultimate bass experience, the XS-V4 will take you there and beyond, whether it’s WORLD CHAMPIONSHIPS, or just the loudest guy in your neighborhood, the XS-V4 will help you achieve your dreams.